This article was taken from http://www.infectiousdiseaseadvisor.com on June 13, 2017. Study indicates a trend toward decreased serologic response to vaccines among HCWs who were highly vaccinated compared with those who had fewer vaccines. The high vaccine group averaged 4.8 (standard deviation (SD) 0.4) vaccinations over the previous 5 years compared with 2.2 (SD 0.9) in the low vaccine group. Mean age in the high vaccine group was higher compared with the low vaccination group (44 vs 33 years, respectively; P <.001), and they had been employed longer (7 vs 2 years, respectively; P <.001). Vaccine effectiveness (VE) to A/H3N2 virus over 5 years in the United States was shown in an earlier study2 to be highest among individuals who had not been previously vaccinated (VE 65%, 95% CI: 36%-80%) compared with those who had received 4 to 5 vaccines over the period (VE 24%, 95% CI: 3%-41%). “This was a study of immunogenicity, not vaccine effectiveness,” Dr Sullivan pointed out, noting that “Immunogenicity is only a proxy of protection. 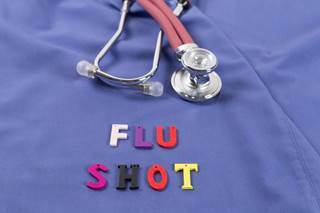 Immunogenicity was assessed against the vaccine strains, which does not necessarily provide us information about the protection afforded against circulating influenza strains.” The decline in antibody response to the A/California/7/2009 strain may have been associated with lessened opportunity for boosting due to circulating strains that season, the authors observed.